Digital literacy is increasingly recognised as a vital component of future education. 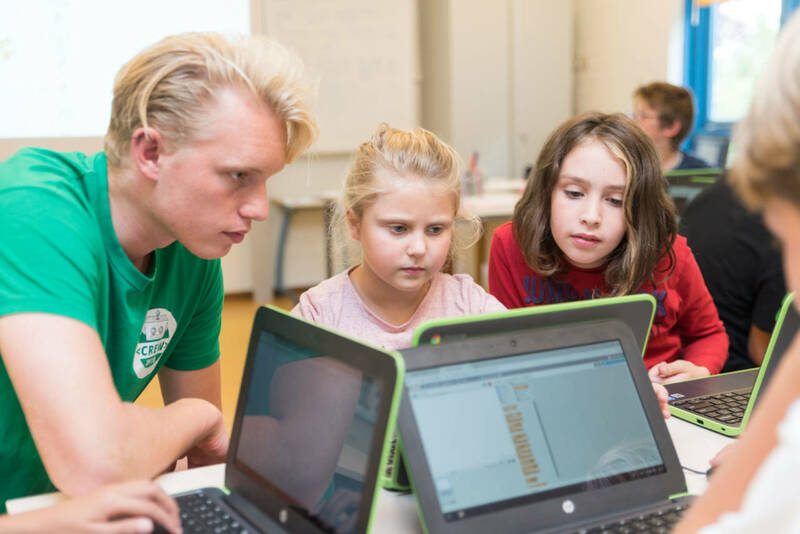 As the Dutch government seeks to update both the primary and secondary curricula, teaching coding to children is set to become compulsory. Esther O´Toole took a closer look at the current state of coding for kids. ‘What I like best is when you have finished the coding part and can see your creation come to life,’ says Bo, who is in her final year of primary school. ‘I really liked it and would have liked more time. I’d definitely do something like that again, especially if it was at school!’ says friend and classmate Hilde. Their school’s director, Rob Lamers, is working with nine other local schools on integrating 21st century skills throughout the curriculum, including critical and computational thinking. Plenty of schools are attempting to get a headstart on the compulsory coding part of the anticipated new curriculum by incorporating lesson plans and accompanying coding software, such as that from Amsterdam startup Bomberbot, into the school day. 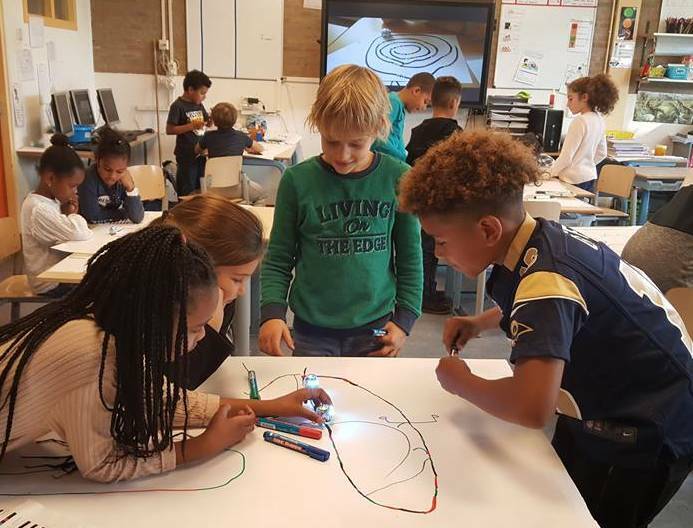 Jolanda Rietel, a teacher at Amsterdam school Vier Windstreken who has been using Bomberbot’s game-based learning with her Year 7 pupils told Dutchnews.nl: ‘At the moment it is proving very beneficial, as the pupils need to work in a solutions focused way and this helps with other subjects too’. Some tech educators like Deborah Carter, the founder and business director of NewTechKids in Amsterdam are concerned some schools might well place too much emphasis on technical skills such as coding as they begin making their digital literacy plans. ‘Onscreen coding and software packages are useful, but what is essential going forward is to teach computational thinking and critical thinking about technology: young people need to be able to access, manage, communicate with tech, and apply critical thinking to create tech themselves,’ she says. Upon moving to Amsterdam from Canada, Carter found a lack of tech-oriented education and after-school activities for her primary age son. So, together with her business partner Marja Ilona Koski (a Finnish computer science teacher), she began providing these sort of extracurricular activities for children ages 4-12. NewTechKids teaches programmes focused on technological innovation, computer science and digital literacy during school, after school and during school holidays. Alongside computer and tech-building tools they also also have ‘unplugged’ computer science sessions based on arts and crafts activities, pen and paper exercises, games and DIY sessions. ‘It’s not about learning to code in specific programming languages because that’s going to be out of date so quickly and programming itself is rapidly moving towards radical automatisation. Nor is it about iPads in schools,’ Carter says. The group has run courses in all areas of Amsterdam. Parents’ views about what boys and girls are capable of doing is just one of the obstacles they have come up against. But some children in less well off areas find using the modular tech kits difficult because they haven’t played enough with basic building toys as youngsters. Carter believes having well-rounded tech education in schools is the only way to guarantee equal access. She is now moving on to helping schools develop their own digital literacy schemes. The Dutch government aims to have its plans for the new school curriculum ready to roll out in 2020 although some experts say it may take several more years to implement. A think tank of education professionals, Curriculum.nu, are currently working on a framework, covering nine different areas of learning including digital literacy. The plans, should be ready for presentation to the government by the end of this year. In the meantime Bomberbot’s recent Digimissie offer, which offered 1,000 schools one year’s free access, received over 30,000 requests from teachers within three days of its launch. Founder and chief executive Cristian Bello suspects that the surge in subscription requests is linked to the pace of the new curriculum rollout; as schools struggle to find a cost and time efficient way to bridge the gap between now and the new curriculum arriving. Bomberbot has now managed to extend the offer to 10,000 primary schools and are keeping a waiting list while they seek further sponsorship. If you are interested in introducing your child to programming you could check out some of the national coding events such as Coderdojo, for primary age and up, or Code Week, every year in October. For older students and adults the new coding school, Codam, set up by TomTom founder Corinne Vigreux, offers student led learning at the former marine base in central Amsterdam.